Wishing you a simply pleasurable weekend. 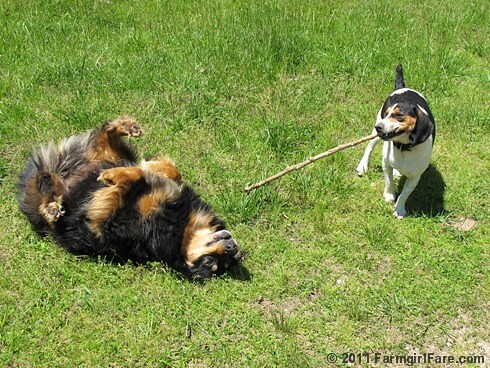 © FarmgirlFare.com, where beagle Bert brings out the puppy in all of us. You in the Midwest have a non-weather weekend, please. We in the Pacific Northwest are still awaiting Spring, but it is not too windy. Chilly, wet and some snow. Is there anything more fun to see than dogs at play? They are such wonderfully fun creatures! Wonderful story in pictures. Made me smile. i needed that dose of cute. adorable dogs!